Freightliner of Grand Rapids | Kmotion Design Inc.
Freightliner of Grand Rapids and Kalamazoo is known for having one of the largest and most diverse used truck inventories in the Unites States, with more than 100 units in stock between the two locations. 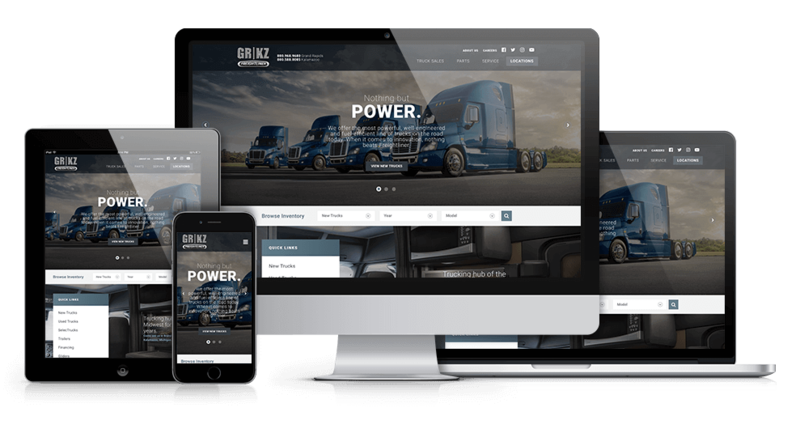 We helped redesign the site from the ground up and built a custom inventory display so Freightliner of GR/KZOO could have more control over the inventory listings. 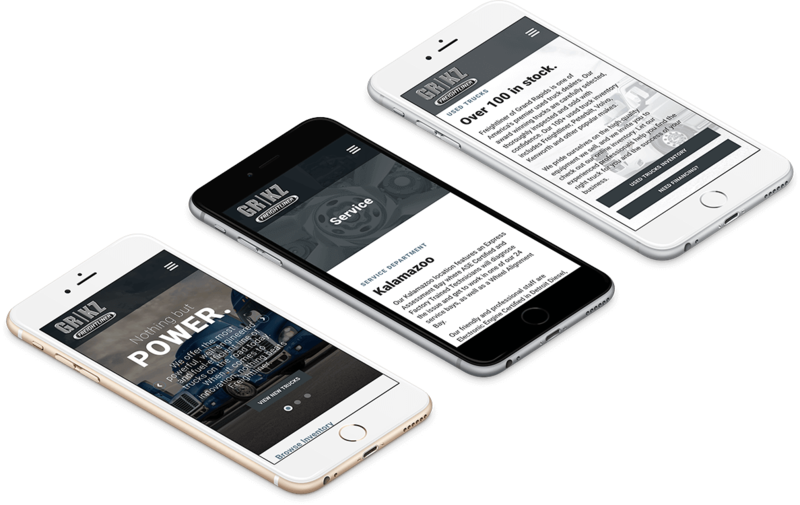 The site is simplistic and easy to navigate, so customers can find info and truck inventory quickly and effortlessly from any device...whenever, wherever.